Dorothy West was an 88-year-old living quietly in the Martha’s Vineyard village of Oak Bluffs when Jacqueline Onassis encouraged her to finish her second novel, The Wedding. 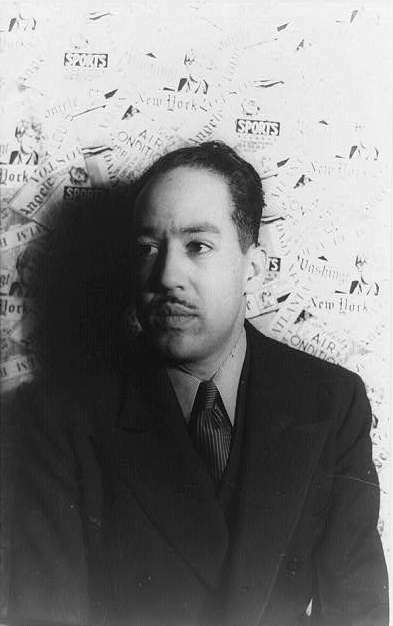 West had been part of the Harlem Renaissance in the 1920s, founded two literary magazines, maintained a close friendship with Langston Hughes and published her first book, The Living Is Easy. The magazines failed, her book didn’t sell and she didn’t marry Hughes, though she proposed to him because she wanted to have a child. For 40 years, she worked as a journalist, mostly writing a column for a small newspaper on Martha’s Vineyard. Onassis, her Martha’s Vineyard neighbor, read her column and encouraged her to finish The Wedding, which she had begun in the 1960s. 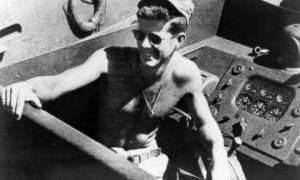 Then Onassis, an associate editor at Doubleday, published the book. 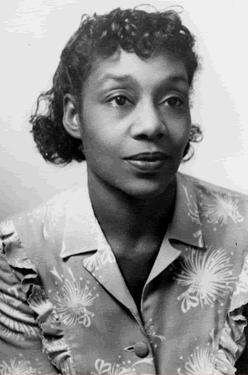 Dorothy West was born June 2, 1907 in Boston, Mass., to Isaac Christopher West and Rachel Pegues Benson. Her father, who had been enslaved, became a successful fruit merchant known as ‘The Black Banana King.’ Her mother had 21 siblings. Dorothy grew up in Brookline, Mass., wrote fiction from a young age and won several local writing contests. She attended the Girls’ Latin School, now Boston Latin Academy, and studied at Boston University. At 18 she tied for second place with Zora Neal Hurston in a national writing contest sponsored by the National Urban League. After she attended the awards dinner in New York City, she decided to move to Harlem and join the black cultural explosion that was sweeping the world -- the Harlem Renaissance. As the youngest member of the Harlem Renaissance she earned the nickname ‘The Kid.’ She traveled to the Soviet Union in 1931 with a group of African-American writers to make a film about race in different countries. She stayed for a year, though the film was never made. She asked her friend Langston Hughes to marry her, though it isn’t clear whether they were romantically involved. Another Harlem writer, Countee Cullen, proposed to her, but she declined. When she returned to the United States, she founded two magazines, The Challenge and The New Challenge. She published work by Richard Wright, Ralph Ellison and Margaret Walker. After the magazines folded she went to work for the Federal Writers Project of the Works Progress Administration. But she kept her ties to Boston, contributing to the city’s literary magazine for African-American writers, The Saturday Evening Quill. 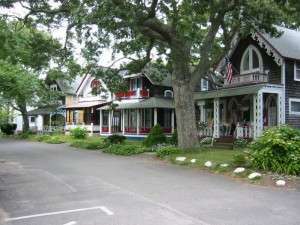 Then she moved to Oak Bluffs, an appropriate setting for her first novel. Oak Bluffs is an outgrowth of a Methodist camp meeting place. Tents on platforms morphed into cottages decorated with gingerbread and painted in bright colors. In the early 20th century, Oak Bluffs became a summer enclave for the black bourgeoisie. 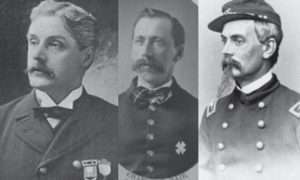 Sen. Edward Brooke and Rep. Adam Clayton Powell had homes there, and Martin Luther King visited occasionally and wrote some of his speeches on Oak Bluffs porches. Dorothy West took a clerical job at the Vineyard Gazette and wrote short stories for the New York Daily News. In 1948, she started writing a column about Oak Bluffs for the Gazette. That same year she published her first novel, The Living Is Easy, which explored racism and class consciousness among the African-American upper middle class. The book won critical acclaim but sold poorly. In the 1960s she began work on The Wedding, a portrait of Oak Bluffs’ black aristocracy and its preoccupation with skin color and social class. She stopped working on it because of the rise of the radical black power movement. She worried the Black Panthers would denounce the book. Jacqueline Kennedy Onassis as editor. The Feminist Press reprinted The Living Is Easy in 1982, which brought attention to West’s role in the Harlem Renaissance. 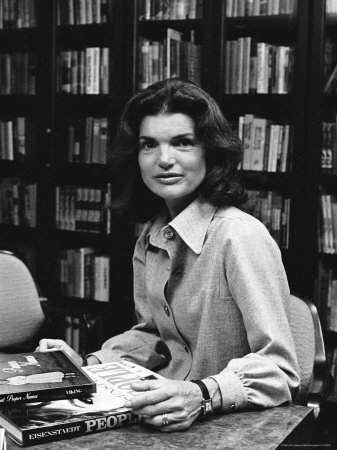 Her column caught the attention of summer resident Jacqueline Onassis. Onassis visited her and encouraged her to finish The Wedding. She did, dedicating the book to the former First Lady. The Wedding became a best seller, and Oprah Winfrey made it into a television miniseries starring Halle Berry. Then Doubleday brought out a collection of her short stories and a memoir, The Richer, The Poorer. And another First Lady, Hillary Clinton, attended her 90th birthday party. Dorothy West died on Aug. 16, 1998 at the age of 91. Photos: "Dorothy West" by Source. Licensed under Fair use via Wikipedia. "OakBluffs1" by Elkman at en.wikipedia - Transferred from en.wikipedia to Commons by User:Phansen.. Licensed under CC BY-SA 3.0 via Wikimedia Commons. I live and grew up in Alabama, and have only been to New England once briefly on business, so I have no connection at all with New England. I subscribed to your online publication on a lark, but have grown to really enjoy reading the stories each week. And I do indeed read your publication every week. Congratulations on creating such an interesting little online publication!! Sincerely, Scott Talkington, Montgomery, Alabama.